MarksvilleandMe: Blogger Opp: Yookidoo Gymotion® Robo Playland Giveaway! Blogger Opp: Yookidoo Gymotion® Robo Playland Giveaway! 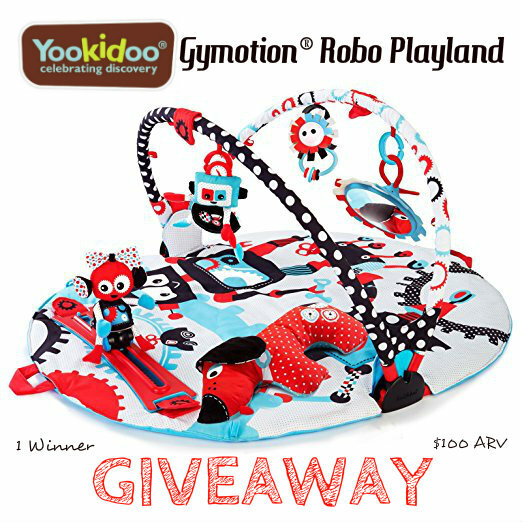 Deliciously Savvy Is Hosting a Giveaway in Which 1 Lucky Winner Will Receive a Yookidoo Gymotion® Robo Playland Baby Mat & Play Gym. ARV $100. There are #Free & #Paid Options Available, So Sign Up To Promote Today. I Can Never Do It Without Each and Every One Of You!